Allows admins to limit the number of Private Messages that users in a usergroup can send per day. Allows you to limit the number of Private Messages (PMs) that users in a specific usergroup can send in a day. If a user reaches the limit (which can be set on the group editing page) they will receive an error telling them they've reached their daily PM limit. The usergroup permission can be set on the Edit User Group page, under the Private Messaging section of the Users and Permissions tab. 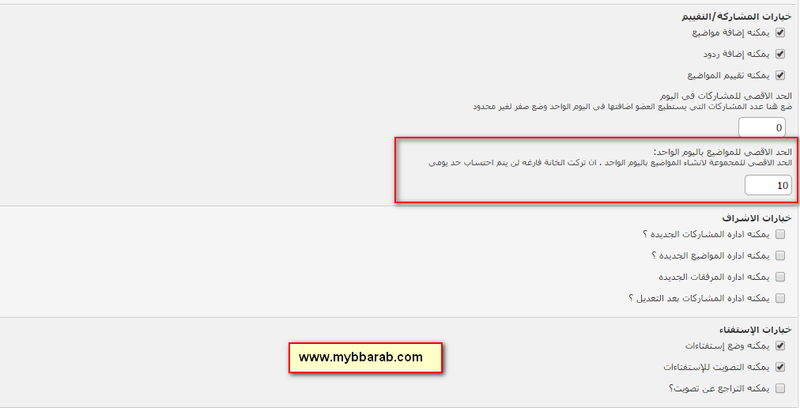 This plugin offers full language support. v1.0.x -> v2.0.4: Deactivate, upload new files and reactivate. v2.0.x -> v2.0.4: Overwrite old files, no need to deactivate. Allows you to limit the number of Private Messages that users in a usergroup can send per day. Allows admins to limit the number of threads that users in a usergroup can post per day. Allows admins to limit the number of posts that users in a usergroup can post per day. 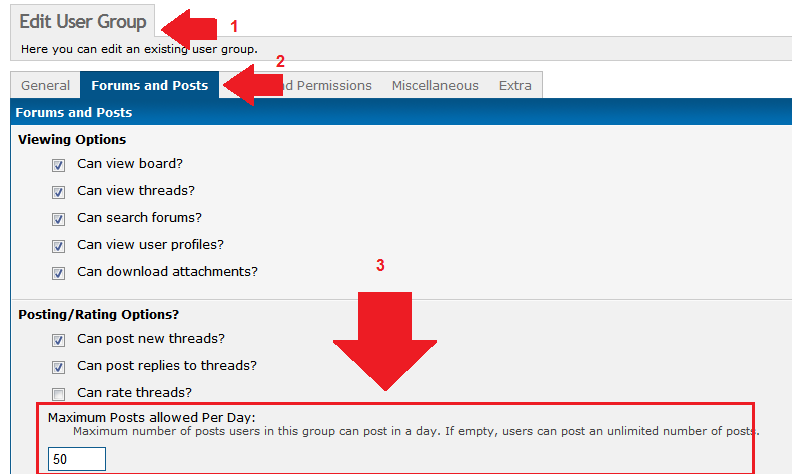 Allows you to limit the number of threads that users in a usergroup can post per day. Allows you to limit the number of calendar events that users in a usergroup can post per day.